Life requires a lot of sacrifices that helps us explore in the world. Prayer is one the biggest sacrifice you pay in life just to make our living worthwhile. God is considered as life best listener. Prayer tend to travel far and wide and the way our wishes come through after talking to God seem miraculous. Aside from talking to God our mind and wishes is our second God. Nature often attract our thought to reality. Praying for your boyfriend is one of the best thing you can offer him, man feel blessed when they have a praying girlfriend and most time what we wish our lover often come to reality just because our heart seem to be very bond with the person we share love with. Man often feel blessed when they wake up to receive prayer message or well wishes message from the person they truly love. Love messages is not the only way you can make your man happy, you can also wake him up in the morning with lovely and heart felt prayer messages which he will definitely appreciate. Make your man know that you truly wish him good luck and pray for his success. #1: My king I pray for God’s protection in your life. I pray that the rest of your life will be the best of your life my lover. #2: I pray we attain the greatness in life, I pray that the door of blessing and success will be open for us. #3: My wishes for you are happiness and prosperity and I pray God grant you all your heart desires. Everything good you ever desire will come to you without stress by God’s grace. I love you. 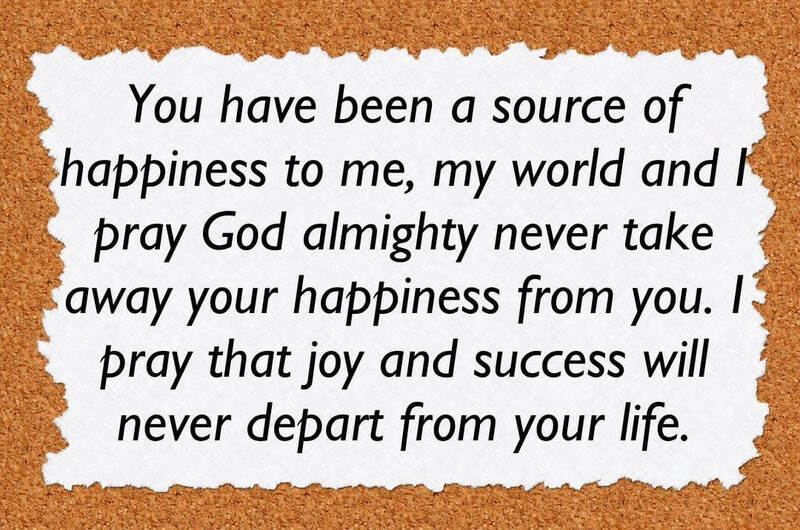 #4: You have been a source of happiness to me, my world and I pray to God almighty never to take away your happiness from you. I pray that joy and success will never depart from your life. #5: When you give happiness you receive nothing but everlasting happiness from the almighty. I pray to God that your later year shall be greater than the former My King. #6: I pray to God to guide your steps as you go out and come in. I pray that you never experience any life issues till the end of our time. 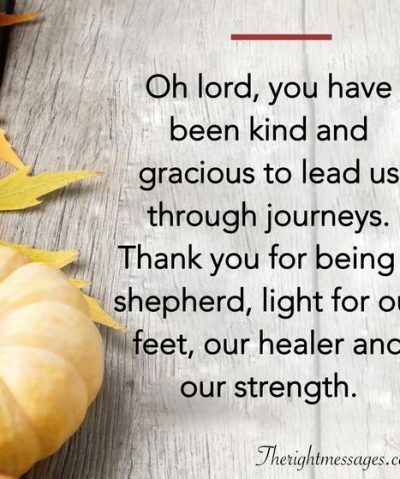 #7: May God bless you bountiful and May your hands be blessed. God miracle will never leave your life My Love. I pray we experience the beauty of life together. #8: I pray that you will stand before Kings and Queen. May mighty and blessed personality call you blessed. Where your mate grumble, may you come out mighty. I love you My king. #9: The world will bow at your feet and wherever you go, you will see and experience the work of the mighty God in your life sweetheart. Whatever is giving you joy will never be the cause of sadness in your life. #10: May God protect you all through the night, I commit your sleeping and waking into the hands of the mightiest God. May you wake up in the morning with a fresh breath. I love you. #11: As you step out today I pray you experience God’s miracle in everything you lay your hands upon. May you see favor in everything you place your hands today. You are blessed My king. #12: Everything you want will come your way easily, I pray you will never grumble before you smile. May God make way for you My King. I pray for God miracle in your life my sweetest. #13: My sweetest man, the one who I love truly I pray that the blessing of God will never depart from you. I pray that you experience greatness all through your life. #14: I pray that whatever as an attachment to you, wont brings sadness your way. I pray that from now on till forever God will clear all the obstacles from your way. I love you till forever My King. #15: As time passes by I pray that your blessing gets refresh each and everyday till you have an overflow of blessing. May you be too blessed to be depressed. I heart you My World. #16: Every bad omen in your life will be swept away without a trace. May God open a new door for you and whatever that will give you sadness will never come your way My Jewel. #17: My wishes for you in life is to see you smile for the rest of our life. I pray to God today that your happiness will know no bound and everyone that comes in contact with you, will see the work of the almighty in your life. My love for you knows no bound My King. #18:As you step out today and plan on venturing into your business, may God open way for you. Your business shall yield bountifully and success will know no bound in your endeavors. Amen. #19: I pray for you, you will be great physically, mentally and intellectually. No evil will come your way and may you experience goodness in every area of your life. Amen. #20: May your never experience tears, may your ears hear no bitter words and may your lips never speak evil till death. May you experience sweetness forever My world. #21: May lord pave way for you, where your mate fight to gain greatness, may you walk and receive the greatness easily. I pray God path your way to success till forever more. #22: I pray you receive a great connection that will make you stand in the midst of Kings and Queens. Your blessing will be visible to every eyes and I pray that every hear will listen to God’s greatness in your life. I love you immersively My King. #23: Whatever you lay your hands upon will yield to success. May the whole world hear your success story. May you be blessed in an over load measure. You will never fail My King. 24: Just like the morning fragrant, may your day be filled with lot of God’s brightness and may your path lead to success. I wish you immersive luck today and forever. 25: Whatever comes out of your mouth today shall be pleasing, I pray for God goodness in your life. May success never path from your way. #26: I pray that whatever will hinder you from attaining greater height will never come your way and may the good God speak for your where you are not present My sunshine. #27: Every tongue that speak ill of you shall be condemned and every heart that think evil about you shall be destroyed. I pray you will meet success in everything you lay your hands upon. I love you and wish you success. #28: I pray that your star will shine and all the whole world will see and experience God’s goodness in your life. 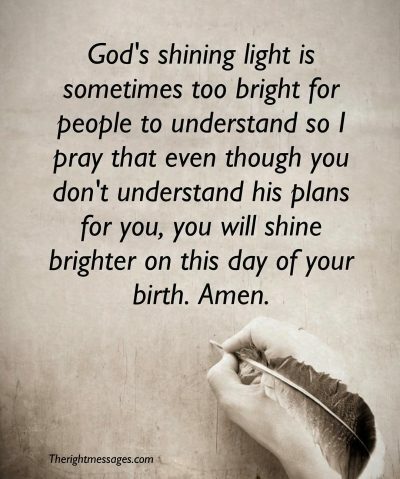 May the light in your life never deem. I pray success come your way. #29:I prophesy into your life My love that you will excel beyond human imagination, I pray success from far and wide will locate you and I pray that you will never know evil forever. #30: In the presence of the almighty there is fullness of joy and everlasting greatness. Today I place you in the present of God and as a child of God that you are May you experience a successful life My king. #31: I place you in the hands of the lord whatever you lay your hands from today hence forth may it yield to success. May your light shine and may success come your way. I love you. #32: I pray that you will never work too hard before you gain success. I pray that whatever your mate labor to get, you will get them easily. Your success is granted by God’s grace. #33: As the day start newly, may your life and greatness be fresh. God will open a new success story in your life and whatever you come in contact with will serve as greatness in your life. #34: I pray to God that he gives you the strength to face every daily activities and I pray to the almighty to grant the work of your hand with success and prosperity. I wish you good luck now and forever. #34: I wish you Wisdom, Knowledge and Understanding to be able to face your daily activities and I pray that whatever you set your heart to will come out in success. I wish you great success My King. #35: I pray to God to watch over you throughout your life and I pray that you will never be find wanting among great personal. May old and young call you great. I love you Sweetheart. #36: Blessing of the lord wont depart from your way, the success of the world will be filled in your life and from today you will never know sorrow in your endeavors. May you succeed in your work. #1: Dear Lord in Heaven, I pray for my man with all sincerity and love of the heart that he shall continue to prosper and excel. I pray that the fruits of his hardworking labor shall blossom and he shall not be put to shame. I pray O Lord that you shower him with abundant success and let his days be filled with joy and contentment. I pray for him that the work of his hands shall be imbued with integrity and please set his heart on honesty. I pray that my man shall know no lack and he will always have enough to provide for himself and his family Lord. #2: Dear Father, I earnestly pray that you set the heart of man on the path to genuine love for You and for me. Teach him how to love me unconditionally and without wavering just like You have loved the Church oh Lord. Direct his heart towards that which is Just, Holy and Pure and do not allow any uncleanliness in his way. Teach him to continue in godliness and divine purpose and take away any thoughts of evil from his heart. Please Lord, give him a heart that acknowledges you as the Master and Lord and be his shield and sufficiency at all times oh Lord. #3: Dear Father, I pray for protection and security for my man. Please Lord, keep him safe daily under your guaranteed care and do not allow him to stray from your sight ever. Please Lord, just as you promised in your Words, give your Angels charge over him and never allow him fall prey into the hands of the enemy. Oh Lord, we do not trust in the security and safety of this world but we have our complete trust in the protection that you give oh Lord. Never allow me to weep over my man or worry over his health. Continue to be a shield and fortress and let him continue to feel safe in your care Lord. #4: Dear Lord, I just want to take this time to thank you for my man and all that you have done in bringing us together. Thank you, Lord, for the love and companionship that we share. I am grateful for the genuine love that we share for each other. 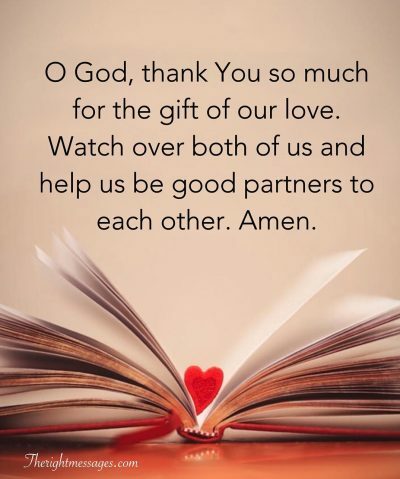 More than anything Lord, I thank you for bringing our path together and allowing us to share that perfect love and harmony that you have endorsed. Please continue to fill the heart of man with love, compassion and care. Take away distractions and the wanton care of this world away from him and let his focus remain on that which really matter. #5: Dear Lord, I pray for strength and courage for my man. I pray that he continues to have the willpower and divine ability to take on the world and withstand the wiles of the evil the enemy and the evil ones. He shall not fall prey to the devices of the devil and darkness shall not have hold over his life. I pray that you continue to keep him in sound mind, strength and wellness of the soul. Please keep his heart from straying away from and let him continually have his eyes on your purpose for him and his desires. #6: Dear Lord, I pray for my man and the kind of company that he keeps. I pray that he his continually reminded to walk and keep acquaintances only those that reminds him of your love and commandments. Please Lord, keep him away from the wrong set of friends and allow him have companionship with those that brings him closer to his dreams, goals and aspirations. He shall not be deceived and seduced away by the wrong people and his communication shall remain continually seasoned, godly and worthy of emulation. If need be Oh Lord, tear him away from forcefully from the wrong set of people and let him value only the essence of kingdom friendship. #7: Dear Lord, I pray deeply that you grant my man an excellent spirit of leadership. Let him continue to excel in the wisdom to lead his life and those around him. Help him build a singleness of character and help him maintain focus oh Lord. Empower him in the skills of divine leadership and help lead a selfless life of service towards You Lord and his fellow man. Let him excel in humility and lowliness of heart and give him the discipline, grace and strength to foster godly relationships in the home, community and in the house of the Lord. #8: Dear Lord, I pray that you give my darling the courage to grow in character and deal with untoward habits and actions from the past. Father, give him the doggedness to leave the scars of the past behind where they belong and focus on the future which you have in mind for him. Lord, take his mind off the failures and disappoints of the past years and let him be able to direct his strength at preparing a better and much brighter future where he can be someone whom him and everyone around him can be proud of. Let him always be assured of a glorious and purposeful future in You Lord. #9: Dear Father, please give my man the ability to be the best husband and father. Give him the wisdom, patience and the thoughtfulness to lead a home and care for his family. Order his priorities aright and give him the consciousness that his family should be the most important aspect of his life. Please Lord, keep the thoughts for the good the family constant in his mind and stir his mind away from distractions of work, habits and strange women. Let him continually work together with me to cherish the peace and comfort of this family. Let him the able to give to his family without holding back, Lord. The Right Messages is your source for Messages. Our goal is to provide our readers with the comprehensive lists of quotes on love, life, relationship, Wishes, Wisdom & Prayers.